I've talked about Curated Quilts a couple of times, the last being when I made my mini Log Cabin quilt for their mini challenge. Sadly, my mini wasn't selected but I'll try again! The premier issue arrived at my door the other day and WOW! It's stunning from the cover to the very last page! I was honored to have been asked to submit one of my quilts for the first issue. I can tell you that there are Quilt Rock Stars in this issue that I admire and that have inspired me. Being along side them...YIKES...is a dream...come...true! 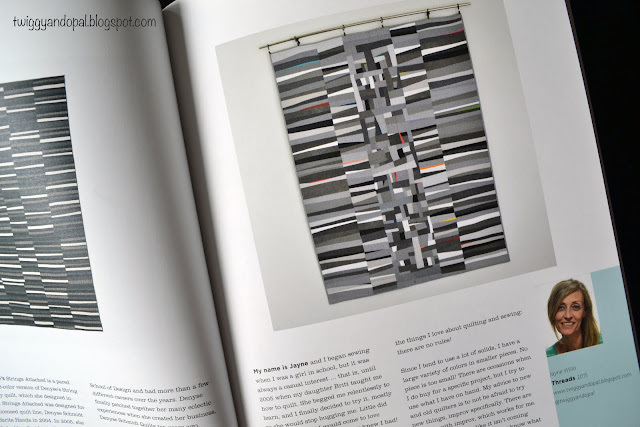 Curated Quilts is not like any other magazine, it's curate (hence the name) and has a gallery made to inspire. 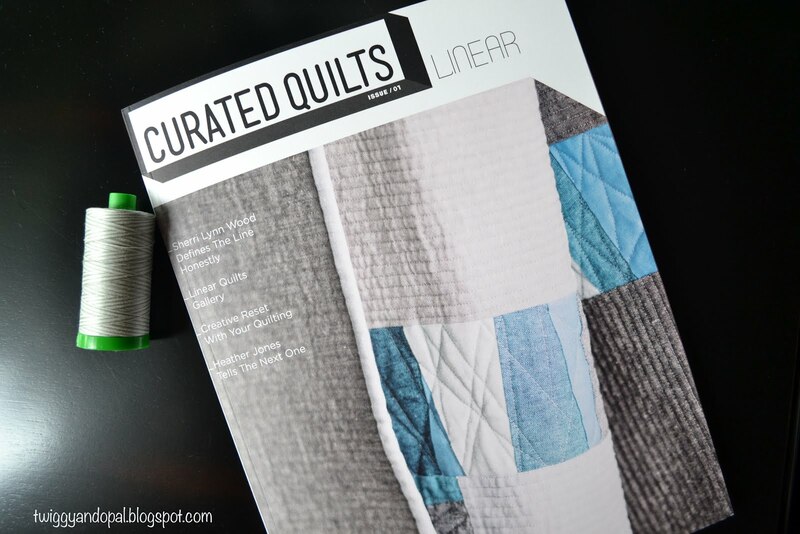 Interviews, quilt patterns, trends and so much more! My quilt in the gallery is 'Threads'. One of my favorite quilts of all times. I would be remiss if I didn't credit my inspiration for this quilt. Debbie @A Quilter's Table is one of my Rock Stars. When I saw her quilt Monochrome, I was impressed and couldn't wait to see what I could come up with! I busted out the scraps in a big way for this quilt! 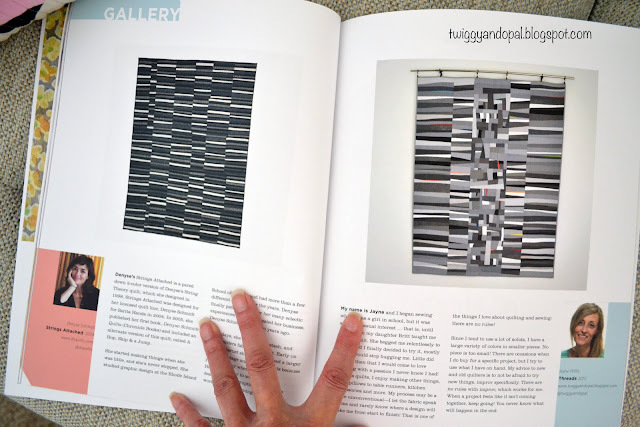 Debbie has two quilts in the gallery, one of them being Monochrome! Now that I have shown just how easily I can turn into a bumbling idiot when it comes to Rock Stars...and it was only on paper!! I've very excited about this feature, it's like no other! Who is your Rock Star, the one who would leave you weak in the knees, tongue tied and a big bowl of jello? There you are!!! That is so awesome Jayne!! Denyse Schmidt is definitely one of my rock stars, as are YOU!!! What a great feature!! Congratulations!! I might be more like a Rockette than a Rock Star! Being next to Denyse Schmidt was mind blowing to me! YOU are my Rock Star! The three that have liberated me the most are Gwen Marston, Joen Wolfram, and Ricky Tims. I don’t feel like a rock star…but you saying that makes me blush and smile at the same time! The last two are certainly Rock Stars!! 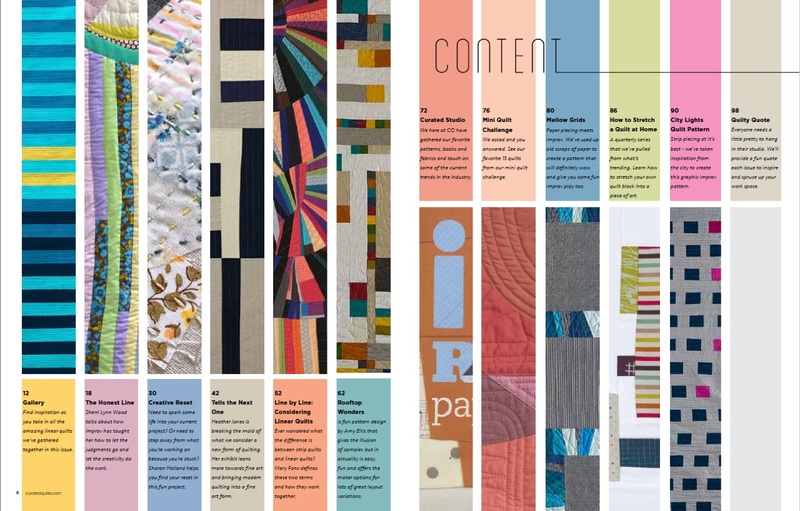 It was an honor being in the same pages as both and I’m especially honored to be a part of Curated Quilts! How awesome Jayne-but you are indeed a rock star, so keep on smiling!! Oh my gosh Jayne, what an exciting experience for you. And, truth be told, you are a rock star. Your work is just gorgeous and I love following along with you when you are in this midst of a project. Truly, you fit right in there with the others. Congratulations!! I have never felt like a Rock Star! I’ve been trying to do what makes me happy and share my experiences along the way. I am much more humbled by comments like yours…they lift me and make me feel like I’m doing what I should be doing! I sat beside Denise Schmidt on the shuttle bus to Quilt Con and had a pretty hilarious conversation with her because at first I didn't know who she was and when I figured it out I had already said something stupid to her like "Oh you must be somebody famous"when she said she was teaching there. I am so excited for you that your quilt made it into the magazine. The rock stars I can think of at the moment are Jacquie Gehring, Gwen Marston and Leanne of She Can Quilt. Jayne you keep on Rocking ! Congratulations Jayne. It is great to see your quilt again - it is one of my favorites. I know you inspire me often. Thanks for linking up with Oh Scrap! Always love seeing you there. Congratulations! If I was one on the curators, I would have had a hard time choosing just one of your quilts. So, my rockstar? Um...you?! Definitely love your modern look. My other rockstar--for pieced images (landscape/nature)--is Ruth B McDowell. You deserved being on those pages! I'll just say this "I knew her before she was famous." Congratulations! Love your quilts so beautiful!! Congratulations Jayne! At the risk of being repetitive, one is you. I very much admire your work. 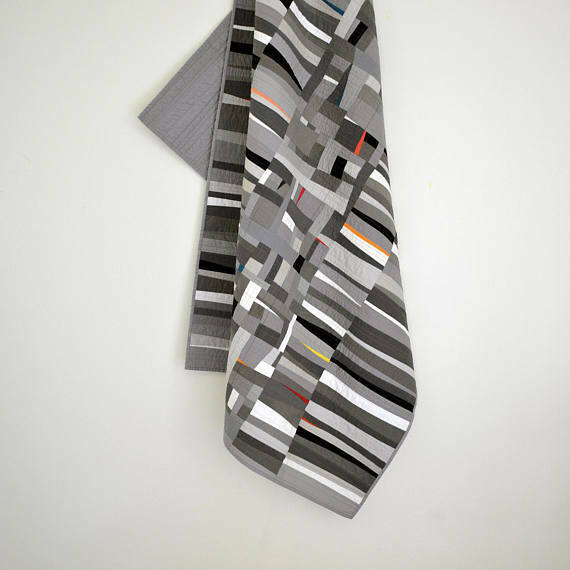 Also Jacquie Gering for her graphic simplicity. Congrations Jayne, what an honor to be featured. Beautiful work. Congrats! Your quilt is beautiful and a great addition to the magazine. Being page mates with an icon is pretty epic. Congrats on you and your quilt featured in the publication, it is truly a beautiful read.